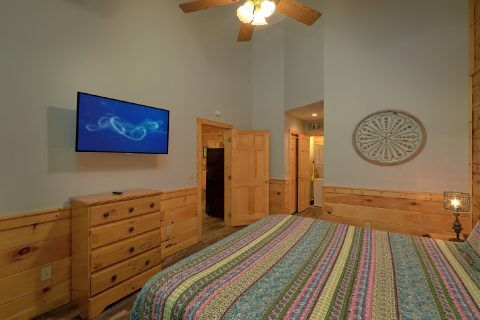 Looking for a cabin rental that keeps you close to the action-packed Parkway in Pigeon Forge and the natural beauty of the Great Smoky Mountains National Park? 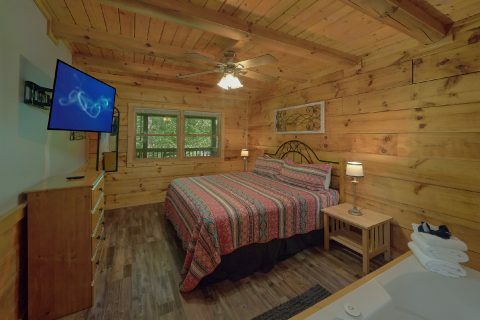 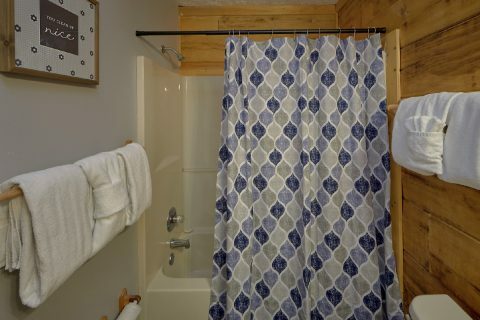 Look no further than "Absolute Heaven," an affordable 2 bedroom cabin rental in Sevierville that sleeps up to 6 guests in comfort. 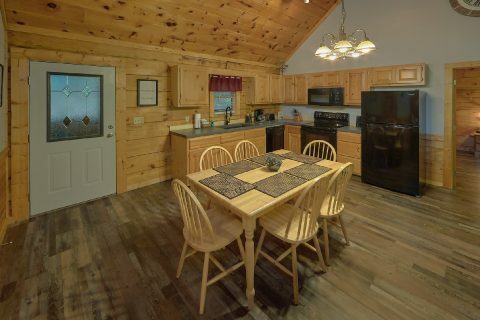 With a prime location just off of Wears Valley road, this rental rests less than 3 miles from Downtown Pigeon Forge where you can explore fun attractions like Dollywood and the Historic Old Mill. By driving on scenic country roads towards Wears Valley, guests can also easily reach the Wears Cove Road entrance to the Great Smoky Mountains National Park. 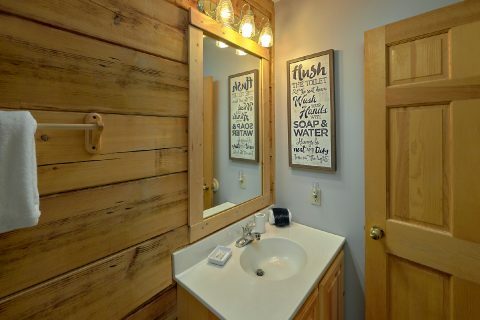 As a result, guests can easily access top national park sights like Elkmont, Tremont, and the Cades Cove Loop road. 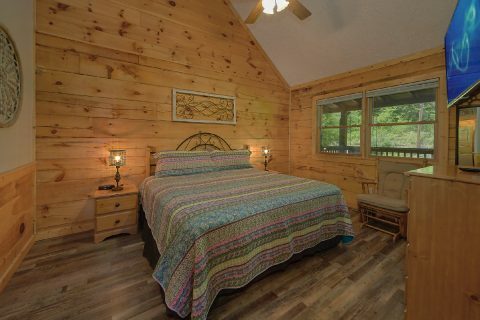 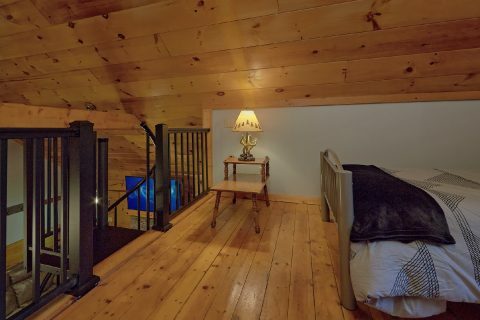 After a great day spent exploring the beautiful mountains of Tennessee, you'll love returning to this comfortable cabin rental that has everything you need for your stay. 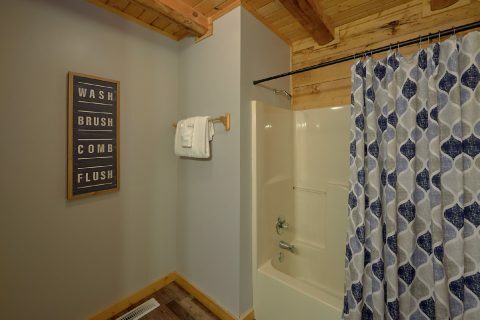 With your cabin's hot tub on the deck, you can rest your weary bones after an invigorating hike in the mountains. 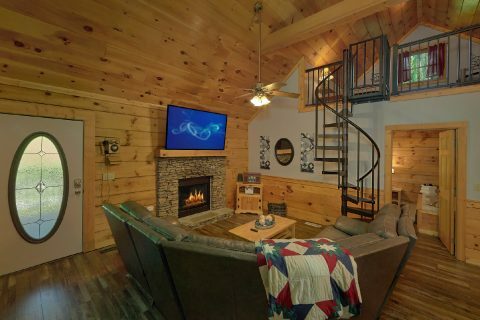 In the living room with a gas fireplace and television, you can enjoy quality time with friend and family while you watch the big game. 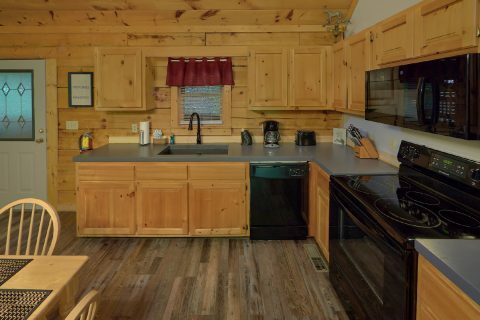 While there are plenty of excellent restaurants a short drive away in Downtown Pigeon Forge, "Absolute Heaven" provides both a full kitchen and charcoal grill for you to use during your stay. 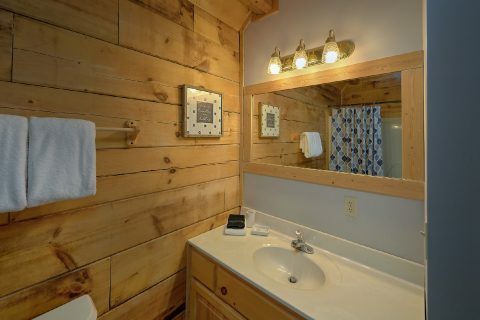 Additionally, this cabin provides plenty of paved, level parking for guests. 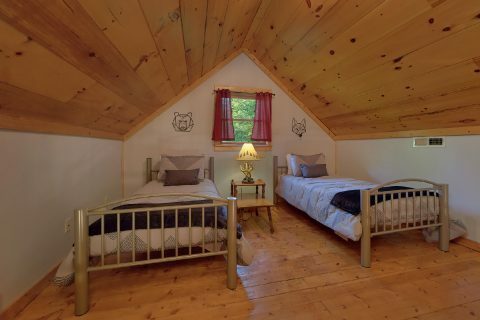 Once it's time to get some shut-eye, you can look forward to staying in one of this cabin's 2 king-size bedrooms. 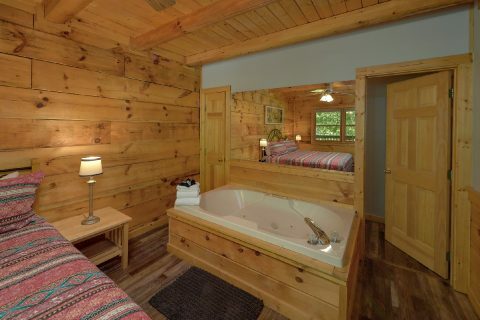 One of these rooms even provides a private jacuzzi tub. 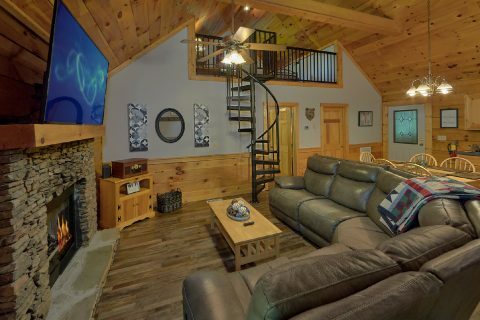 With a sleeper sofa in the living room, this cozy cabin can accommodate up to 6 vacationers. 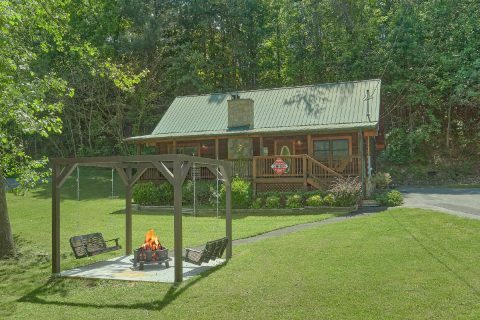 Book "Absolute Heaven" today with Cabins USA Gatlinburg to start planning a fun and affordable getaway to the Smokies! 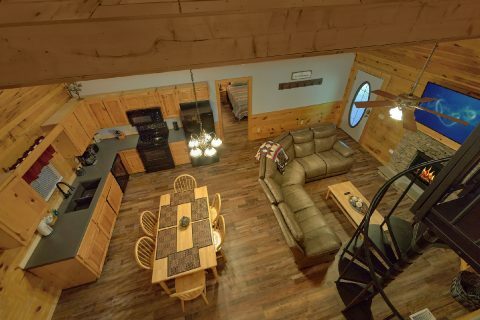 Best of all, this cabin comes with our special discount rate, so you can save even more on your vacation!